Lieutenant Kristopher Shultz graduated from Northwestern High School in 1989. He attended the Ohio Peace Officer Training Academy at Clark State Community College, where he currently teaches as a Fire Service instructor. He received a Bachelor's Degree from Wittenberg University. Lt. Shultz began his law enforcement career with the Clark State Community College Police in 1995, and also served as a Uniformed Bailiff for the Clark County Municipal Court prior to coming to the Sheriff's Office. He began his full-time career with the Clark County Sheriff's Office in April of 1999, having served as a non-compensated deputy since July of 1998. Lt. Shultz has worked in the Jail and Uniform Patrol as a Deputy. He was promoted to Sergeant in November of 2006. As a Sergeant, he worked as a shift supervisor in the Jail, Uniform Patrol, and Court Services. He was promoted to Lieutenant in April of 2017 and serves as the Commander of Criminal Investigations Division. 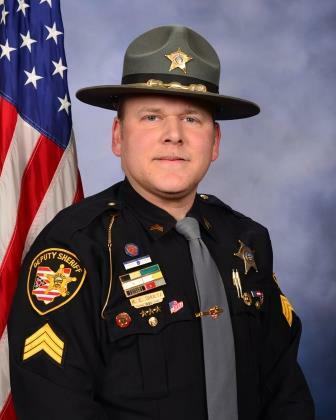 Lt. Shultz has also served as the Commander of the Sheriff's Office Honor Guard, with which he continues to serve. He has received a number of awards which include the Sheriff's Award, Exceptional Service, Meritorious Service, and Attendance. He has also received the Star of Life from the Ohio Department of Public Safety, the State's highest award for life-saving.